Bolster your defenses, Keeper! Our latest update features upgradable Reinforced Walls which can now be leveled up from 1-10. • Recruit the strongest Keepers possible! Guild requests now display the applicant’s combat & trophy points. The guild roster will also display the last login time of each member. • See Immortals in action and capture them in PvE campaigns! Players who meet requirements to unlock Immortals (i.e. Dungeon Heart Level 7 with a Guard Post built) can now see Immortals in action as well as capture them in PvE campaigns for use in subsequent battles. Finally, this update features performance updates and behind-the-scenes improvements. So what are you waiting for? 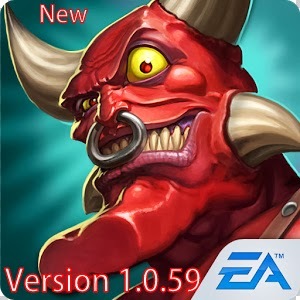 Download the new update TODAY!